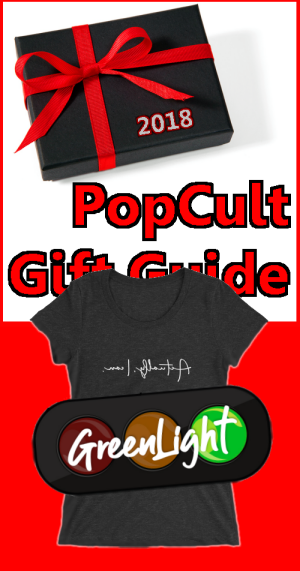 We begin the final day of The 2018 PopCult Gift Guide with a new T-Shirt line designed right here in Charleston. Greenlight Tees offers a new concept, postive affirmations written in an attractive font, printed in reverse so that the person seeing them in a mirror can read them. Green light Tees is a women’s line of t shirts (and more coming soon!) that focus on sending out a positive, self-affirming message.But here’s the cool part… The message is written backwards! We do it this way because the message is for YOU, not everyone else to read. The most important person to impress and live up to is yourself. So, when you’re about to walk out the door, getting ready for the day, or just happen to catch a glance of yourself in a mirror, you’ll be reminded that you are beautiful, strong, and unique. The shirts are available in a wide variety of designs, colors, and sizes at The Greenlight Tees webstore, and would make a great gift for any woman who deserves a little affirmation in her life.